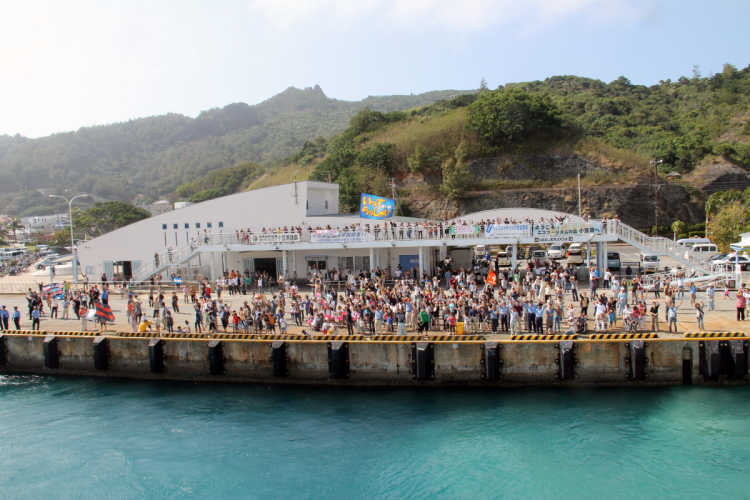 Heart Rock is one of the tourist attractions when they stop by during the ferry tour to Minami Island. 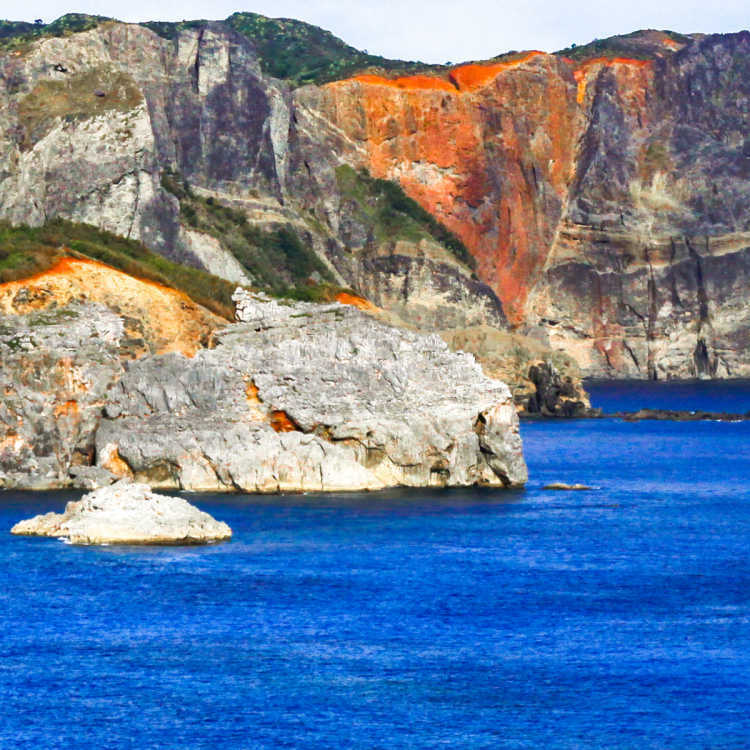 On the Bonin Blue ocean like a blue paint, the red rock as high as 260 meters, looks like heart shape!◎You need to reserve the tour to Minami Island at a marine sport shop or somewhere. Then, they may take you to Heart Rock from Futami Port of Chichi-jima Island. 1000km southward from Tokyo, Chichi-jima Island is famous for the send-off of the people living in the island when the visitors go out. Many people waving their hands, boats for send-off, and people diving from the boats… It's a moving scene that makes you want to come here again.